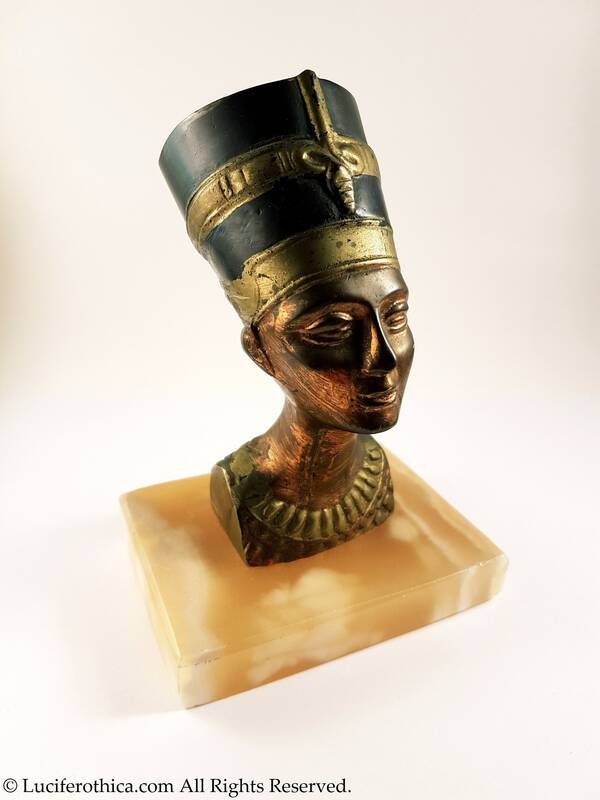 Vintage bust of pharao queen Nefertiti. 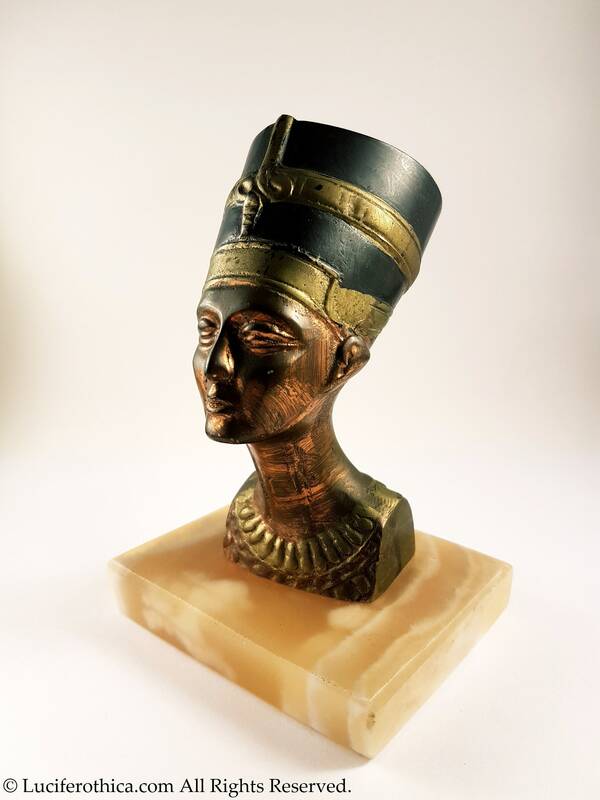 Replica of the original Nefertiti bust. Statue itself is made out of copper. Mounted on a small marble plate. 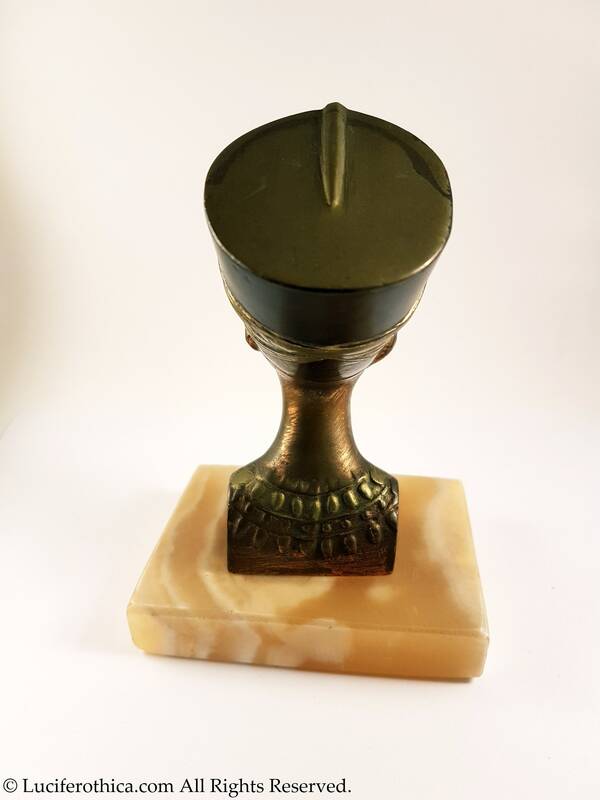 Total statue Height: ca 14 cm. Total weight of the statue and marble: 777 gram. 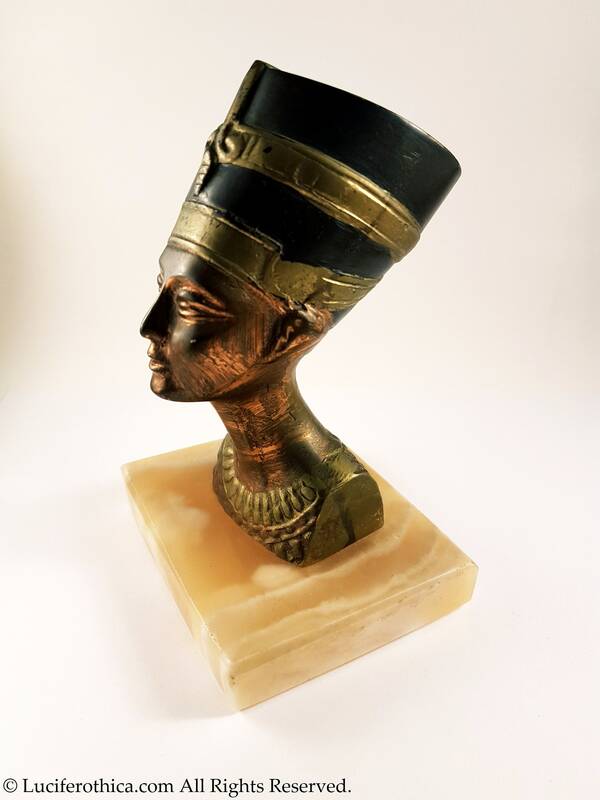 Nefertiti was an Egyptian queen and the Great Royal Wife (chief consort) of Akhenaten, an Egyptian Pharaoh. Nefertiti and her husband were known for a religious revolution, in which they worshiped one god only, Aten, or the sun disc.